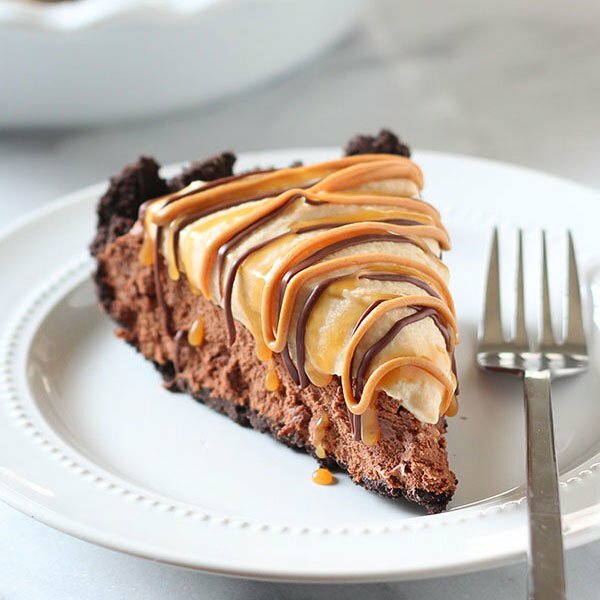 Successfully saved Chocolate Peanut Butter Caramel Mousse Pie to your Calendar. You can also save the ingredients to your Grocery List. Chocolate Peanut Butter Caramel Mousse Pie made with an Oreo crust, chocolate caramel mousse filling, and peanut butter whipped cream to top. Decadent!